One of the many projects I need to get back to are getting some more of mine painted. They're not just relaxing, a good few of them are also rather funny. In other words, they're good therapy to paint. Nice job and cute, too! Lovely job on these, Rob! 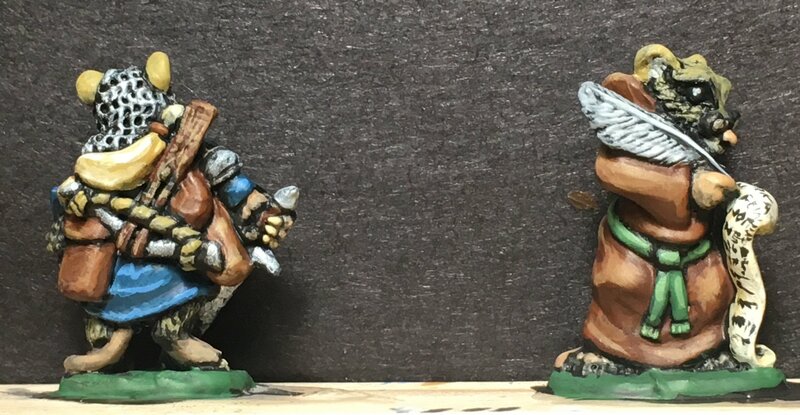 A little speedpaint job before breakfast today; after playing Burrows and Badgers at Christmas, my brother and I agreed that we’ll run some at Gencon this summer. So, I need to work up another couple of war bands. 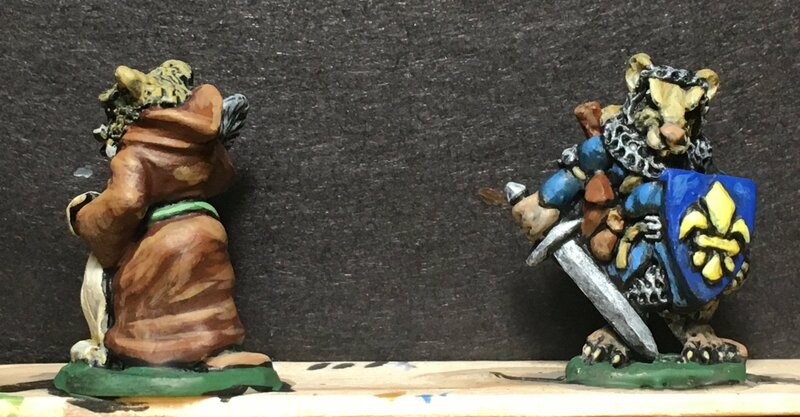 Here are two groups of vermin I had the pleasure to throw at the players last weekend. 03394, Rat Swarm sculpted by Sandra Garrity. These are pewter version of the model and I mounted them on 25mm base.